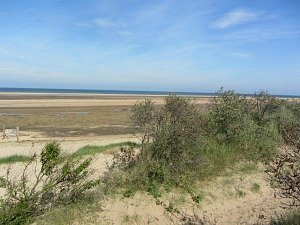 Our Beaches In Norfolk, Should They Be Named? Is There Just One Or Are There Many? 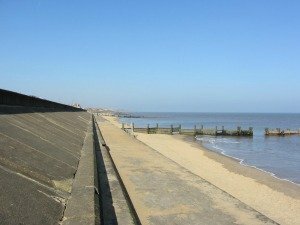 Or, should our beaches in Norfolk be named? A question asked by a visitor to my website and a very good question at that. It’s an interesting one. 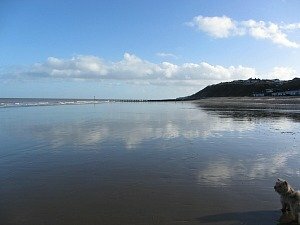 There is only one coastline in the whole of the UK, so therefore there is only one continuous beach in the UK, or is there? And why do we name them? 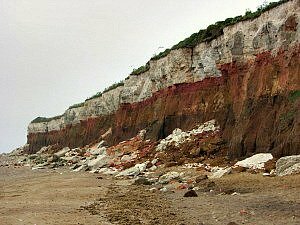 Beaches get broken off at high tide, and in some parts of the UK there is no beach at all, just cliff face. 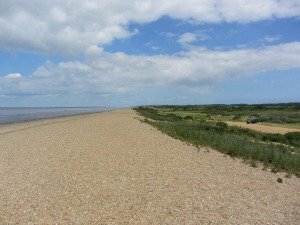 But here in Norfolk we are incredibly lucky to have a sandy coastline that stretches from Snettisham (although this particular beach in Norfolk is not a sandy beach, but still a beach) all the way to Great Yarmouth and beyond into Suffolk. 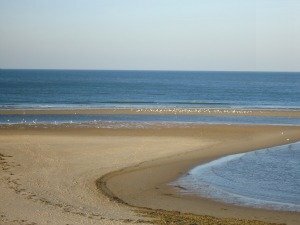 Most of this coastline is beautiful, particularly the North Norfolk coast. 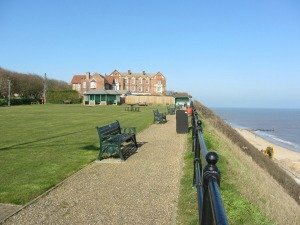 Much is also prone to coastal erosion, such as Happisburgh and Trimingham. You see, I’m already naming them! Just a beach on Norfolk's coast! 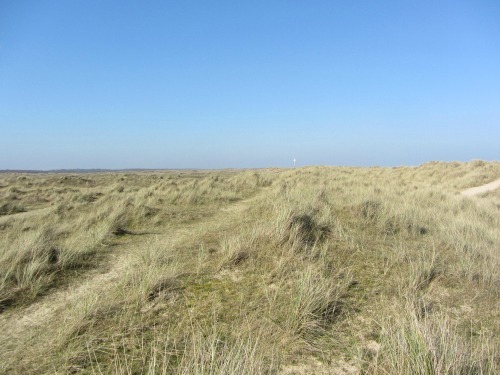 Before the 18th century, beaches weren’t used as we use them today. The first beach resorts were opened in the 18th Century for the aristocracy, and then the use of beaches as leisure resorts only became popular in the 19th Century. So I suppose before the 18th Century, no beach had a name! In Australia, the longest beach is called the Ninety Mile Beach. 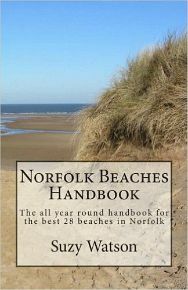 Perhaps we should also call our beaches in Norfolk the Ninety Mile Beach, as that is also the length of our Norfolk Coast line. In the process do we forget about the towns and villages that adorn them? And leave it for you, the visitor, to use some imagination and mystery to decide where you’re going to end up. Sounds fun! 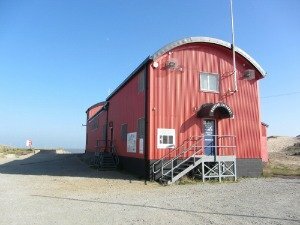 What about the photo above. If I don't name it, you won't know where it is, would that irritate you? It's just a beach on the Norfolk coast somewhere along the 90 miles of coastline (I will tell you where it is at the end of this article!). 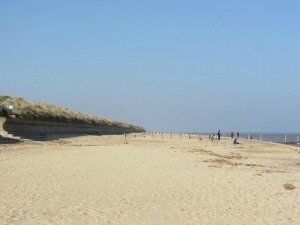 Some of the North Norfolk beaches such as Burnham Overy Staithe, Holkham and Wells-next-the-Sea have swathes of golden sand with wide open skies. 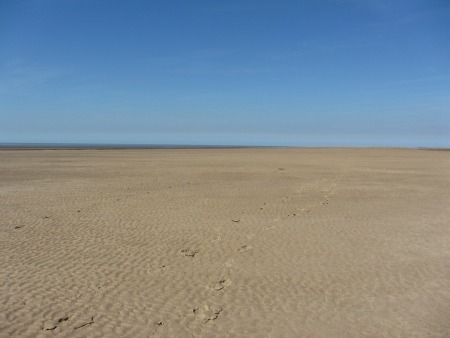 When the tide is out you can literally see and walk for miles. For the many times that I’ve visited Well beach, more often than not the tide is out, and I never reach the sea! But if they weren’t named, you wouldn’t know which one I was talking about, would you, a bit like the beach above! 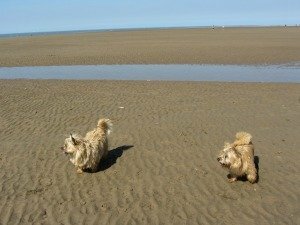 And apart from enjoying the beach with family, many of us love the wide open spaces these beaches provide for walking our beloved dogs. 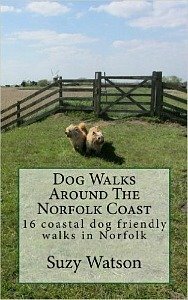 Dog walking on the beaches in Norfolk is a very popular past-time. 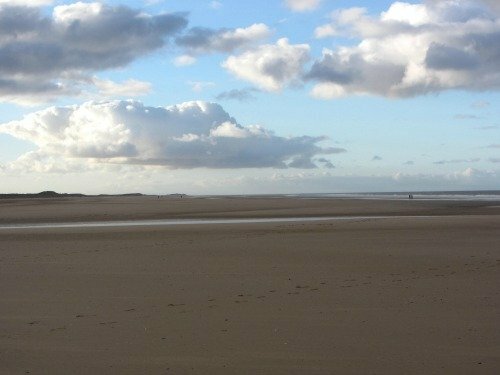 Holkham and Wells have to be the two best beaches for dog walking because you can walk for miles. 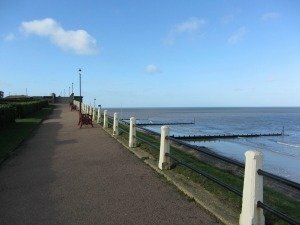 One other beach that is excellent for dog walking when the tide is out is Old Hunstanton. But if we didn’t put a name to these beaches, how would we describe which ones we were going to, or which ones we had been at? “The beach near Old Hunstanton”, well obviously that then becomes Old Hunstanton beach, not just “the beach in Norfolk”. But if you look at it from the view of my visitor who made this comment, if you’re just walking on a particular stretch of one of the many beaches in Norfolk and all you can see is sand, sea, dunes, or cliffs, then, apart from the wonderful feeling of completely forgetting about life and leaving your everyday stresses behind you, why would you want to be looking at arriving at any particular named beach; it would have no meaning to you at all, and it wouldn’t matter where you were anyway. 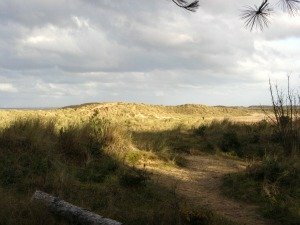 Why would you want to know you’ve arrived on, say, Winterton beach (apart from, of course, stopping off at the café or walking on Winterton Dunes rather than the beach)? Now maybe that’s a perfect reason for naming them, because that's exactly what you do want to know! 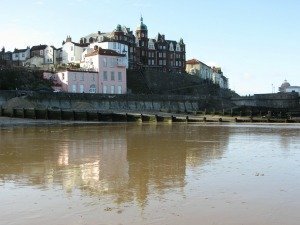 A beach such as Cromer could be left out of this argument because it would be pretty obvious once you’ve arrived here, as you can see the wonderful Victorian Pier jutting out to the sea, and the church tower standing tall over the town. 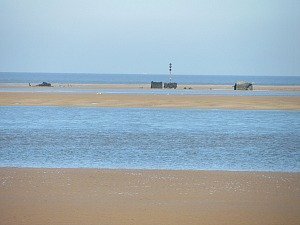 Wells is another example of one of the beaches in Norfolk that shouldn't need to be named, purely on the basis that it is well known for its extremely colourful beach huts. 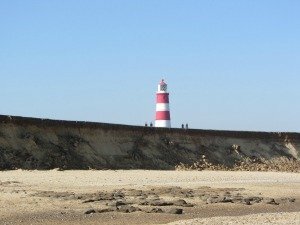 And Happisburgh beach too, overlooked by its iconic red and white lighthouse. You know exactly where you are. 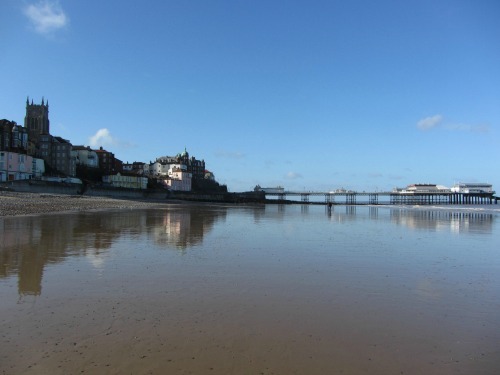 It's obvious - it is Cromer beach! 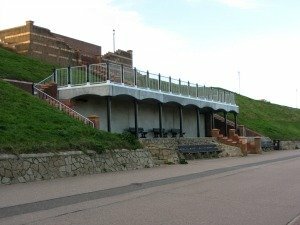 But what about a Norfolk beach such as West Runton where the remains of the famous Steppe Mammoth were found back in 1990. 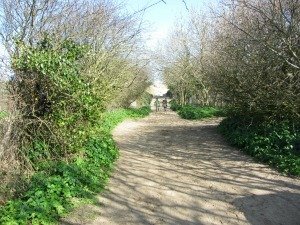 How would you distinguish this beach if you were walking along it, from its neighbour, East Runton. Both have cliffs, both are fairly pebbly until the tide is out and you can’t really distinguish one from the other. 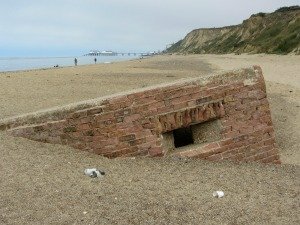 Having said that, East Runton has an old pill box half buried in the sand, so if you knew this, you’d know where you were. But what if you didn’t know? Would it matter? 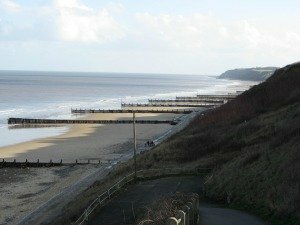 To some, no, it wouldn’t, but to others who particularly wanted to visit West Runton beach, then yes, it needs to be named. 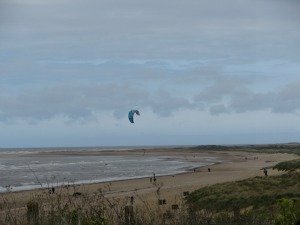 And for activities such as kite surfing, wind surfing or beach buggying which are popular on Brancaster beach and Old Hunstanton, then it’s important to pinpoint a particular beach, particularly in Norfolk where the tide can be so dangerous. 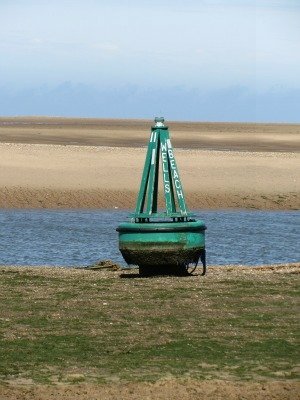 Informed decisions about tide times on certain beaches in Norfolk is of paramount importance. Without a name to the beach, the sportsman is ill informed, which is not wise. 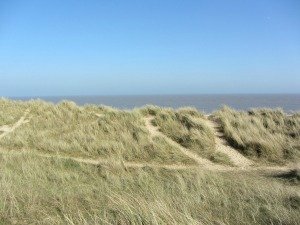 By pinpointing the beaches in Norfolk and naming them, it makes it much easier for the visitor to go to the particular beach they've chosen, but maybe for those just walking the beaches of Norfolk for pure enjoyment, then no, they don’t need to be named. Time and tide wait for nobody, so just keep walking! 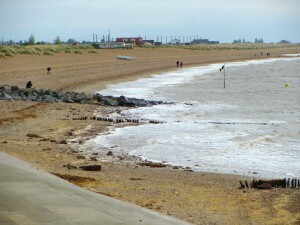 The beach in the first photo is Old Hunstanton! 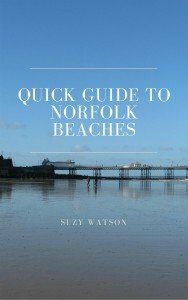 But the question of “does Norfolk have one beach or many” certainly made me think! I don’t think it was meant in an argumentative way, I think it was a question posed to make us think! What are your views? 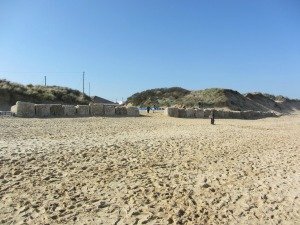 Why not add them to the discussion here - Norfolk Beaches, is there just one or many? 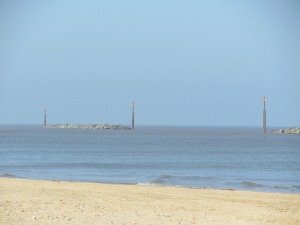 Explore Norfolk › Norfolk Beaches › Norfolk Beaches - is there one, or are there many?